If any changes need to be made to your appointment, please notify us at least 24 hours in advance in order to avoid additional charges. This allows us enough time to offer that time slot to another guest and notify our technicians of their new schedule so that they can plan their day accordingly. Missed appointments (NO SHOWS) will be charged in full to the credit card with which they were held; appointments canceled or changed within the 24-hour window are considered LATE CANCELLATIONS, and you will be charged 50% of the service. If we are unable to provide your service due to non-compliance of our appointment policies, it will count as a late cancellation and you will be charged accordingly. A credit card number is required to hold all reservations. Every appointment has an allotted time period reserved especially for that guest, and we want you to get the most out of your appointment time. If it is your first visit, please arrive at least 10 to 15 minutes before your appointment start time in order to complete all necessary paperwork without cutting into your session time. For all returning guests, please arrive at least 5 to 10 minutes before your appointment time to check in, get situated, and be ready to go for your full allotted session time. Arriving late will cut into your session time and may result in additional charges if your appointment has to be cancelled. If you arrive more than 15 minutes after your appointment time, your appointment will be canceled and you will be charged 50% of the service fee, per our late cancellation policy (see below). Out of respect for other guests, we cannot cut into another guest’s appointment time to make up for your lost appointment minutes if you are late. 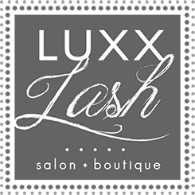 For purposes of safety and sanitation, we cannot allow anyone else into the service rooms other than (1) the Luxx Lash technician and (2) the person receiving the service. *Children under the age of 12 must be accompanied by an adult who can supervise them in the lobby while you receive your service. Children are not allowed in the service room. We will not supervise your children and cannot be held responsible for any children—if you bring a child with you who is under the age of 12 and there is no one to supervise them, your appointment will be canceled and you will be charged 50% of the service according to our late cancellation policy. Should be turned onto silent mode and put away in order to minimize distractions and potential hazards—this is especially crucial for eye and brow services, which involves the use of tweezers and adhesives around the delicate eye area, and therefore requires a great deal of focus and precision on the part of our technicians. Please be courteous and respectful of your technician’s time and work by keeping your phone on silent until you have left the session room. We reserve the right to refuse service if you use your cell phone. We require up to a $75 deposit from first time guests for all services which are regularly priced at $150 or above (based on the regular price, not membership pricing). Recurring guests may also be asked for a deposit on full sets. The deposit is non-refundable, and will be applied towards your service. If you No Show or Late Cancel, your deposit will be forfeited. If we are unable to provide your service due to non-compliance of our appointment policies, it will also result in a forfeiture of your deposit. Please arrive without any eye makeup and do not curl your lashes on the day of your appointment. If at all possible, avoid applying mascara on the day of your appointment. If you do have mascara on, make sure to wash it off thoroughly before your appointment time, and do not use an oil-based makeup remover, as leftover oil residue may result in premature shedding due to a weaker bond between the extensions and your natural lashes. Do not use waterproof mascara or eyeliner. There is a $35 fee if our technician has to remove eye makeup, and it may cut into your session time. If you wear contacts, please bring a contact case, as contacts should not be worn during the lash application process. Further, we recommend that you wait 12 to 24 hours after your service before wearing your contacts again in order to minimize potential infections or irritation to the eyes. If it has been more than one month since your last appointment, the purchase of a full set will be required regardless of how many lash extensions you have remaining—lash extensions need professional grooming by a qualified technician at least once per month in order to be in maintained in proper condition so that a relash can be applied successfully. We cannot guarantee the work of other salons; if you already have eyelash extensions from another salon, there may be additional fees if the lash extensions were not applied correctly and need to be removed. The lash extension removal fee is $35 for a partial set removal (10 to 30 lashes removed per eye) and $49 for a full set removal (more than 30 lashes per eye). A full set must then be purchased. Your natural lashes shed on a regular basis. To maintain the look of your full set, relashes are recommended every two weeks. Our technicians can only work with whatever time has been booked. If it has been more than two weeks since your last visit, we recommend that you book the next level up. For example, if you normally get a Simply ChicTM Relash and you need to book 3 weeks out, it is best to book the next level up (Oh So GlamTM Relash) to allow your technician enough time to catch you up. Please arrive without any brow makeup or creams on or near the brow area. If you do have brow makeup, make sure to wash it off thoroughly before your appointment time, and do not use an oil-based makeup remover, as leftover oil residue may result in premature shedding of brow extensions due to a weaker bond between the extensions and your natural brow hairs. There is a $25 fee if our technician has to remove makeup from the brow area, and it may cut into your session time. Please arrive with clean, exfoliated skin—this means no lotions or creams of any kind on the areas to be sprayed. Our natural spray tan is aloe-vera based and requires 8 hours to set. Do not shower or do any exercises that cause you to sweat for 8 hours after your spray tan. If you do, it may remove the solution before the results set in. We have an alcohol-based option, which sets in under 4 hours—if you want this option, you must request it at the time of booking.